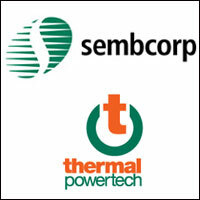 Singapore-based infrastructure group Sembcorp Industries has increased its holding in Thermal Powertech Corporation India (TPCIL) to 65 per cent by acquiring an additional 16 per cent stake for Rs 400 crore ($66.6 million), the company said. The deal involved conversion of cumulative participatory redeemable convertible preference shares into equity besides fresh infusion of equity. Post deal, Thermal Powertech has become a subsidiary of Sembcorp with the remaining 35 per cent stake is held by Gayatri Energy Ventures, a wholly-owned subsidiary of Gayatri Projects. "The deal amount is financed by a mix of internal funds and borrowings. The investment amount was arrived at by taking into account mainly the book value of the project," Sembcorp said. TPCIL is a joint venture between Gayatri Energy Venture and Singapore-based Sembcorp Utilities, a wholly-owned subsidiary of Sembcorp Industries. It is developing a 1,320-megawatt (2x660MW units) coal-fired power plant located near sea coast of Bay of Bengal at Krishnapatnam in Andhra Pradesh. It has already signed a power purchase agreement for supply of 500 MW of competitive power to Central, Eastern, Southern and Northern Power Distribution Companies of Andhra Pradesh for 25 years. TPCIL is scheduled to commerce commercial operation of its first unit in the December 2014 and the second unit is expected to be completed in 2015. In May 2010, Sembcorp had acquired 49 per cent stake in the firm for $219 million (Rs 1,042 crore). This was Sembcorp’s first power project in India. Early this year, Sembcorp Industries, a developer, owner and operator of energy and water assets with over 7,200 MW of power capacity installed and under development, had struck a deal to pick 45 per cent stake in a separate 1,320 MW thermal power project under implementation near Krishnapatnam for Rs 848 crore ($135 million). It had also said it will enter into an agreement which gives it the option to buy a further 20 per cent in the project which is housed under NCC Power Projects. NCC Power Projects is a joint venture between Gayatri Energy Ventures and NCC Infrastructure Holdings Ltd, a wholly-owned subsidiary of NCC Ltd.